Growing Strong Together Since 1907 And Beyond. 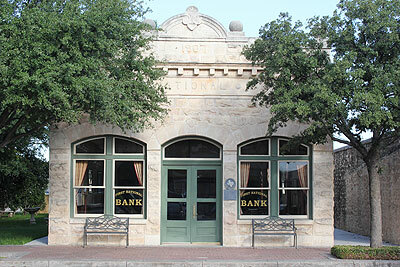 The First National Bank of Eldorado was formed in 1907 to serve the banking needs of the county and the surrounding areas. The original rock building still stands on Main Street across from the present location, which was completed in 1982. Our current banking facility offers drive-in banking and a 24-hour drive-up ATM. We are a privately owned and independent bank. We make our decisions locally which allow our customers to experience the personal service they deserve. We pride ourselves in getting to know and serve you. The directors, officers and employees of the First National Bank of Eldorado are proud to serve this community.